Paris-based Joelle Valade first visited India when she was 15 and fell in love with the French town. A hairstylist by profession, she has a passion for arts and crafts and is also a social worker back home. 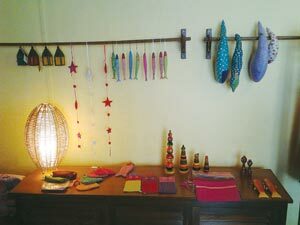 Valade recently opened her first store in Pondicherry, Sunda��art. Though the 61-year-old currently resides in Paris, sheA� visitsA� India twice a year, and is actively making decisions about the store along with her Pondy-based protA�gA�, Sundar, a craftsman. a�?Back when Sundar was a teenager, he was the only one supporting his family and used to undertake small stitching projects. I then started teaching what I know about arts and crafts. Eventually, over the years, he honed his technical expertise and now teaches the same to his team of four,a�? begins Valade. Cotton bags, purses, jewellery, toys for infants and toddlers, table covers, cushion covers, clothes for men, women and children are some of the products at the store. 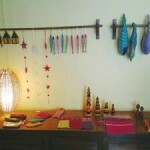 a�?Everything is handmade and each new product is created after careful research and discussion. While Sundar provides ideas from his Indian background, I add the French touch. Together, ita��s a mix of ideas,a�? she shares and cites examples of the pie bag, which is quintessentially French, but can be used to carry mithai, sweets for functions, weddings and other occasions. 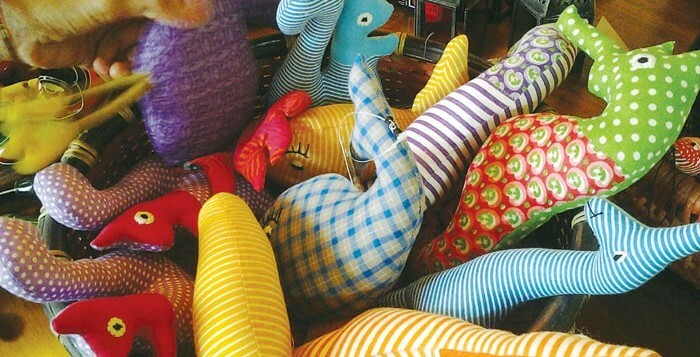 The toys or the a�?Dooo-Doooa�� explore the French tradition of gifting cloth toys to babies.A� These cute stuffed toys are safe and washable. Initially (four years ago), the duo only made knick knacksA� and small accessories in Paris and Pondicherry, and supplied it to clients based in Brazil, Switzerland and France. In the US, they retail from a store that specialises in cotton products. 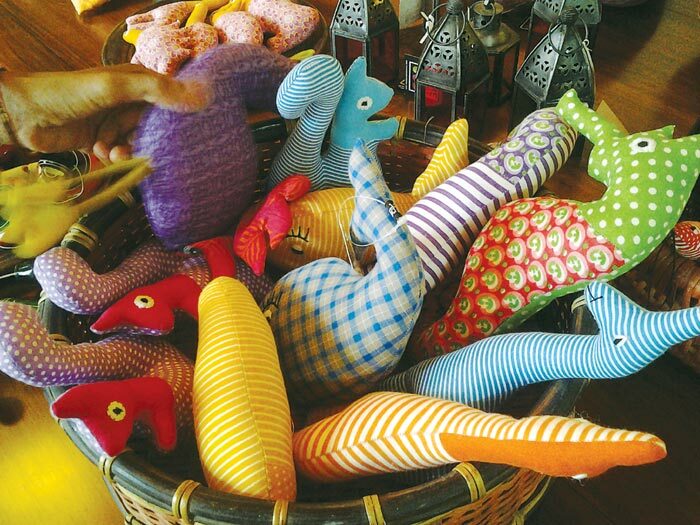 An avid traveller, Vadale got the idea of opening the store from the owners of Mango Hill Hotel and Resort. a�?They have a store called the Home Trotter and offered the first floor of the store to Sunda��art for making our products,a�? shares Sundar. Talking about the city, Vadale loves the easy way of life and the diversity that it has to offer. a�?I love the East meets West feel. It is a beautiful mA�lange of culture and tradition,a�? she says.